Start planning that retirement party for Chatter Answers! After years of faithful service helping users find answers to their pressing questions, Chatter Answers is calling it quits in Winter ’18. Salesforce will no longer support Chatter Answers, and users of Chatter Answers will no longer be able to post, answer, comment, or view any of the existing Chatter Answers data. Chatter Answers is passing the torch to Chatter Questions, an eager young thing ready to take up the self-service mantle. Add the Lead Insights component to your Salesforce Classic lead page layouts so that sales reps see their leads’ scores and the insights that support them. This change applies to Salesforce Classic only. enablement process. This change applies to both Lightning Experience and Salesforce Classic. • At least one record type for accounts. • Users that have read permission on accounts have read permission on contacts. From Setup, enter Account Settings in the Quick Find box, and then select Allow Customer Support to enable Person Accounts. After we confirm that your org is ready for Person Accounts, we’ll send an email with additional information about logging a Support case. Configure Collaborative Forecasts in Lightning Experience. Forecasts users also get more information and can do more when they’re projecting sales. These changes apply to Lightning Experience only. Configure Enterprise Territory Management in Setup without switching to Salesforce Classic. And reps can now manage their sales territories in Lightning Experience. These changes apply to Lightning Experience only. Working with opportunities in Lightning Experience is more efficient than ever! Your users can now add an entire opportunity team in fewer clicks. And, increase the completeness of opportunities by prompting users to add products immediately when they create or clone an opportunity. These changes apply to Lightning Experience only. You’ve been patiently waiting for Collaborative Forecasts to come to the Lightning Sales Console. The wait is over! Plus, we’ve made other great improvements to Lightning console apps, including the ability to add favorites, navigation rules to make your users’ workflow more efficient, and additional keyboard shortcuts. Sales reps can now record custom voicemail greetings and display a standard company number when making outgoing calls. These changes apply to Lightning Experience only. Reps can get more done with fewer clicks when working from list views. Edit multiple records from a list view, and wrap text in columns to see more at a glance. The Cloud Scheduler is no longer available. Reps can’t propose new meetings with the New Meeting Request button on events. Existing proposals indicate that the feature is no longer available and suggest that invitees contact the organizer. This change applies to Salesforce Classic only. Sales reps can now view duplicates on person accounts in Lightning Experience just as they can on business accounts, contacts, and leads. Users with permission can merge person accounts, too. This change applies to Lightning Experience only. In the Community Builder, the Ask Button component has two new options: Show topics and Show details. They give you more control over the appearance of the Ask Question dialog and give your members the best experience. This change is available in Lightning communities. Your external files are vital content resources, so naturally you want access to them from your community. Previously only available in Salesforce Tabs + Visualforce communities, you can now access external files in your Lightning communities using Files Connect. Access files from Quip, Google Drive, SharePoint, Box, and OneDrive for Business. A new Lightning component, Files Preview, makes it easy for your users to preview and take quick action on files. The Files Preview component displays a preview of the file with file actions clearly labeled across the top. When a file can’t be previewed, the preview shows an icon of the file’s type. Emojis have arrived! Engage your audience by adding zest to your feed. When you post, comment, and add details to your questions, or when you answer questions, the emoji icon appears in the Chatter publisher. Emojis are available in Lightning Experience and Lightningcommunities. Topics suggestions are helpful when you want to encourage folks to add topics to their posts and questions. At the same time, having the flexibility of turning off topic suggestions is also key. We now give you the option to turn off topic suggestions for your org. The permission is enabled by default, so contact Salesforce Customer Support to disable topic suggestions.This change applies to both Lightning Experience and Salesforce Classic. Find out which groups have the most activity in your org with a new custom report type. Create the custom report type using Groups as the Primary object, and monitor your groups’ rankings accordingly. This feature is new in both Lightning Experience and Salesforce Classic. Quip lets you create, share, and collaborate on documents and spreadsheets in Salesforce. No need for an external file provider. In Lightning Experience, use the Quip component on records to create new Quip documents and work with existing ones. Work with Quip documents in Chatter, Files home, and Files related lists. Quip is available in Lightning Experience, Salesforce Classic, and communities. The free Salesforce Community Page Optimizer analyzes your community and identifies issues that impact performance. Use the information to refine your design and improve community performance for your members. Are your users tired of clicking View All to see all the columns in a related list? With the Related List Quick Links component, they can view multiple related lists in quick succession just by hovering over a link. And, they can complete actions right from within the hover pane. The Related List Quick Links component is available for record pages only. As part of the new Cisco Spark for Salesforce feature, the Cisco Spark for Salesforce component is now available in the Lightning App Builder. Add it to record pages to let your users initiate video meetings and send and receive instant messages right from the record they’re visiting. You can now set values for your picklist and multi-select picklist variables directly from the properties pane. These changes apply to both Lightning Experience and Salesforce Classic. You can now subscribe to platform events in a flow Wait element. With platform events, a flow can wait for something to occur, inside or outside your Salesforce org. Previously, a flow could wait only for a relative or absolute date/time value. This feature is new in both Lightning Experience and Salesforce Classic. You already know the power of automating a business process based on record changes in your Salesforce org. But what if some of your business-critical events don’t happen inside your Salesforce database? No problem. Create a process that starts when a platform event occurs. This feature is new in both Lightning Experience and Salesforce Classic. Say hello to a more intuitive way of referencing users in your processes. Instead of manually entering a user ID, simply search for that user by name. You can also search for queues. This change applies to both Lightning Experience and Salesforce Classic. The ID and Reference value types didn’t go anywhere. You can still enter the user or queue ID manually or reference a field. Process Builder now supports encrypted fields, except in filters in the Update Records action. This feature is new in both Lightning Experience and Salesforce Classic. It’s now possible to enable multiple currencies instantaneously without contacting Salesforce Customer Support, or locking your org. These changes apply to Lightning Experience, Salesforce Classic, and all versions of the Salesforce1 mobile app. 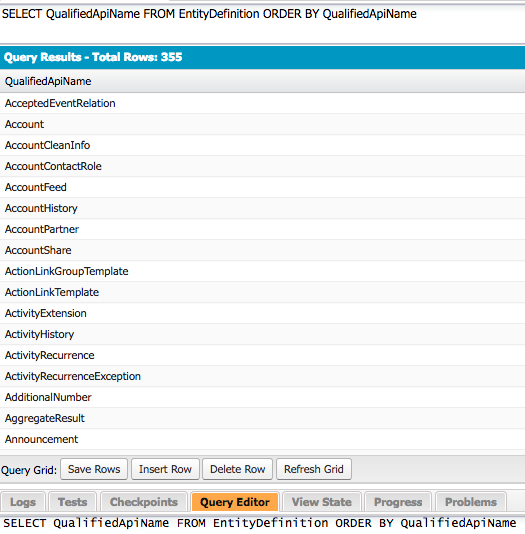 Use batch Apex to process large sets of external object data. 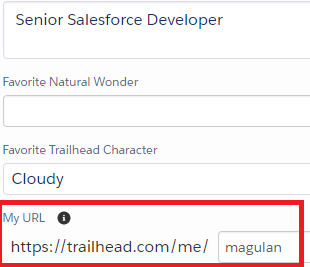 Use the Salesforce Connect Validator to quickly test common user and code interactions with external objects. Let us know what you think about the continued pilot for tracking external object data callouts with event log files. Track your inactive picklist values better with pagination, even if you have thousands of them. And pagination also helps the pages displaying the values load faster. This feature is new in both Lightning Experience and Salesforce Classic. Deleting an action that is included on a page layout can break the publisher, the other actions on the page, or the entire page. To avoid mistakes, you can no longer delete actions that are used on a page layout. This change applies to both Lightning Experience and Salesforce Classic. When defining a named credential, you can specify whether to customize headers and bodies of Apex callouts that use the named credential. Previously, those callout options were set only via the user interface. Now they can be deployed via change sets, packages, or Metadata API, so you don’t need to manually configure the callout options after deployment. This change applies to both Lightning Experience and Salesforce Classic. The Encryption Statistics feature shows Shield Platform Encryption customers how much of their data is encrypted with an active tenant secret. Get key statistics for maintaining compliance, stay on top of your key rotation obligations, and streamline the mass encryption process. To enable this feature, contact Salesforce Support. 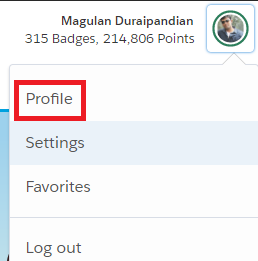 This feature is available in Lightning Experience, Salesforce Classic, and all versions of the Salesforce1 mobile app. You can encrypt the Opportunity Description and Next Step fields in sandbox and production environments. Contact Salesforce to activate this feature. This feature is available in Lightning Experience, Salesforce Classic, and all versions of the Salesforce1 mobile app. 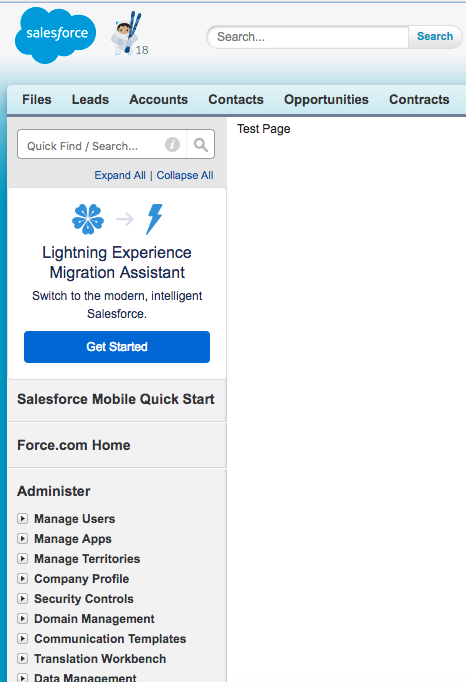 Want to know if the Visualforce pages in your org are ready for Lightning Experience? Use the Lightning Experience Visualforce check to generate a report that flags pages that need changes before they’re ready for prime time in Lightning Experience. This change applies to Lightning Experience only. Run the Lightning Experience Visualforce Report directly from your Lightning Readiness Report PDF. The Visualforce Report looks at all pages in your org used in the past 90 days, and identifies features that aren’t available in Lightning Experience. All of an org’s Apex code is now recompiled automatically before completing a metadata deploy, change set, a package install, or a package upgrade (including push upgrades). 2. Click "Select Converted Status" under Converted. 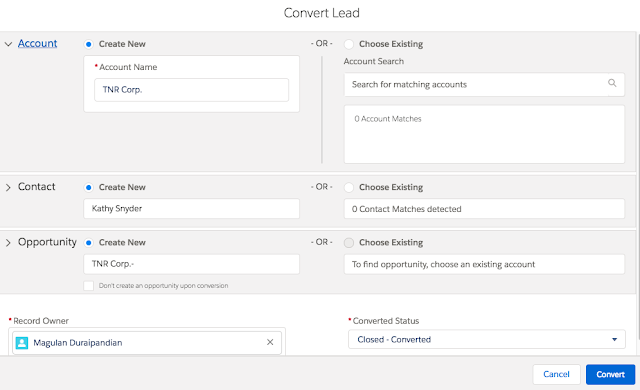 The new lead conversion process matches leads with contacts and accounts already in Salesforce. At the same time, reps create an opportunity or select one already in the works. This change applies to Lightning Experience only. You can select record type also when Create New is selected. Heroku Enterprise is part of the Salesforce Platform, a multi-cloud app platform. That's quite a mouthful! We just mean that the Salesforce Platform ties together many tools and services into a cohesive platform that you can use to build amazing applications. Heroku Enterprise is part of that toolset. It can enable you to build custom applications to facilitate amazing customer experiences. You might know that Force.com allows you to build employee-facing apps to customize and extend your Salesforce CRM. A PaaS abstracts away the complexity of building and running infrastructure for applications. Using a PaaS allows you to easily create load-balanced collections of containers that run your software. You can think of those containers just like shipping containers that hold all the code and resources needed to run your application. 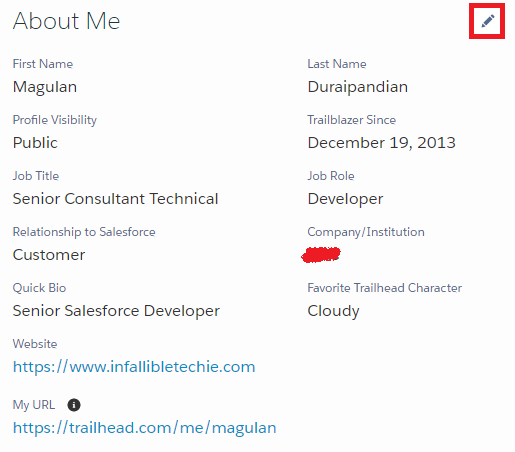 How to query all object names in Salesforce? 1. 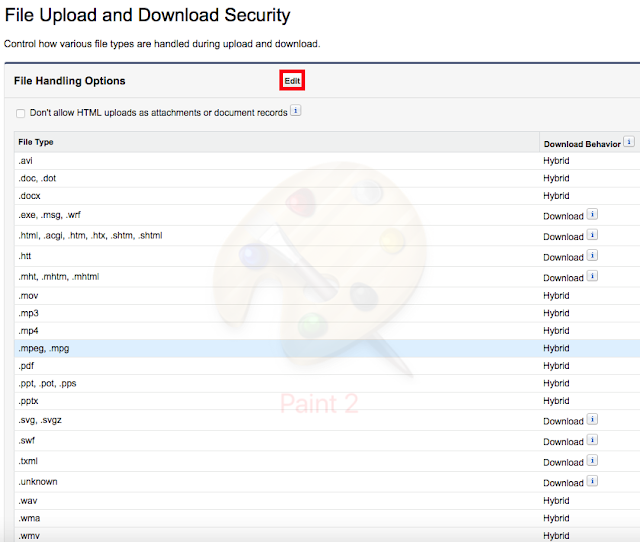 Go to File Upload and Download Security. 2. Click Edit button. Do the changes and click Save button. Specify what happens when users attempt to download specific file types. Download (Recommended): The file is always downloaded. Execute in Browser: The file is displayed and executed automatically when accessed in a browser or through an HTTP request. Due to security risks, some file types aren't available to execute in the browser. Hybrid: Attachment and document records execute in the browser. Salesforce Files are downloaded. How to show Force.com setup in Visualforce page as Side Bar? 2. Click Edit in About Me Section. 3. Enter your name or fancy title for your profile link.